You go to all the trouble to plant and nurture an edible in your garden and somehow…life gets in the way. You look away for just one second and BOOM…the plant over-ripens or goes to flower…or worse…it sits there unattended until it goes all the way to seed. Sure, you can compost the plant and send it back into the food chain. But what if it turned out that situation did not mean the end of that plant’s edible value? What if it was really a happy accident of deliciousness?? Well, that is theory of my friend, author Willi Galloway who I interviewed on the podcast this week. Willi believes that there is a whole world of flavor in our vegetable gardens that we are not tapping into. No, she is not suggesting we eat over-ripened edibles or rotten fruit. But she is suggesting we look at the other parts of a plant such as the leaves (greens), flowers and even the seed pods for flavor. 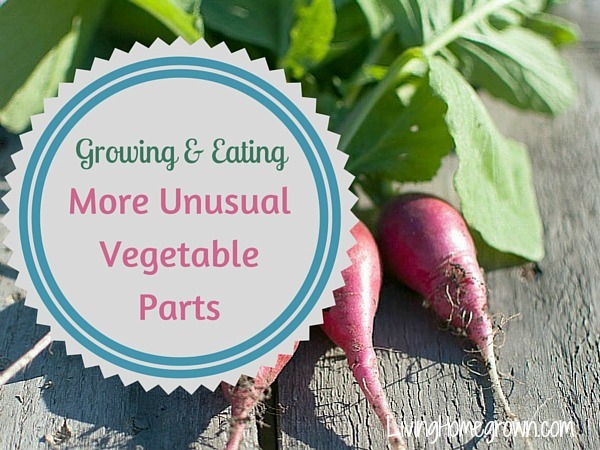 Willi knows that a world of flavor exists in the more unusual plant parts and she shares her tips for tapping into that world AND for growing new-to-us veggies. Learn the best ways to harvest, store and ripen pears at home. Salad burnet is an unusual herb with flavor that changes based on temperature. Learn how to grow it and best capitalize on that unique flavor characteristic.